The DiMAX 1202B digital booster features two separate output channels that can be operated jointly (parallel mode) or separately (discrete mode). 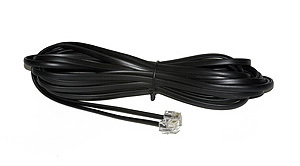 When the channels are operated in parallel mode, the booster is capable of a continuous throughput of 12 Amps. When the channels are operated in discrete mode, each channel is capable of a continuous throughput of 6 Amps. The 1202B requires an external DC power supply (18-24 V DC) for operation; its output voltage can be infinitely adjusted in 2V steps from 14 to 22V. The Booster is equipped with an integrated breaking module; it can be operated as (a) a booster or(b) a booster with a braking function. The 1202B features a temperature controlled fan, an automatic over-heat protection circuit, automatic overload protection circuit. 6 front-panel-mounted LED-status-indicator-lights, 3 for each channel, and 4 additional indicator lights for track voltage. 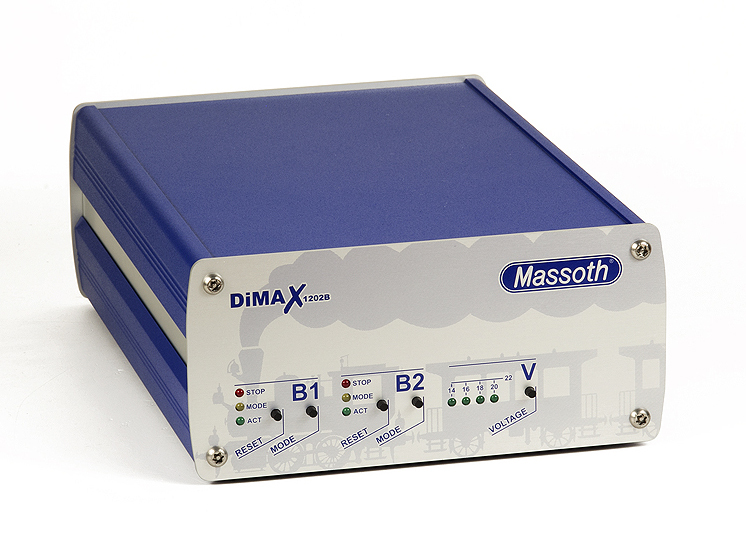 The DiMAX 1202B Digital booster is digital protocol independent, it may used with any NMRA compatible digital system and other digital systems as well.